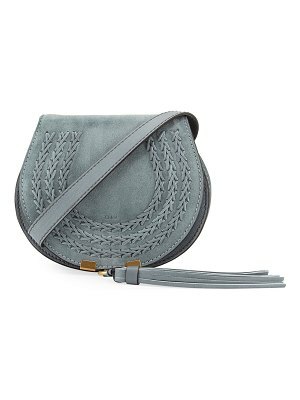 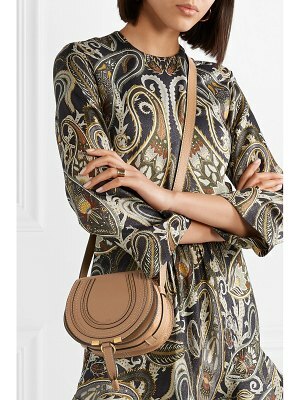 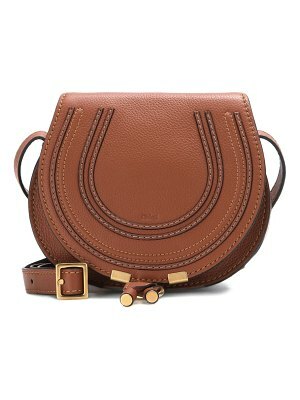 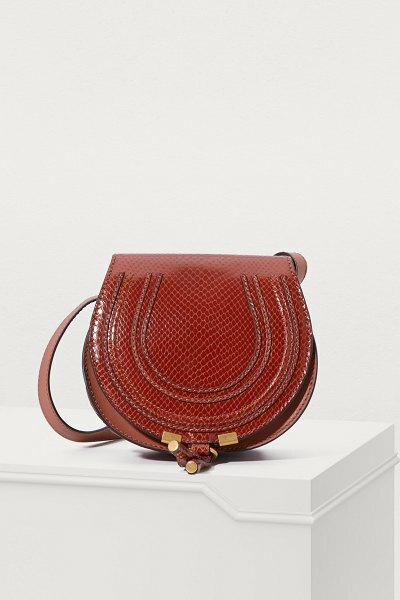 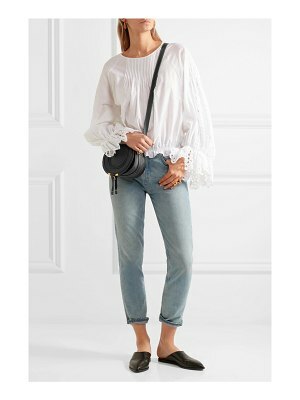 This Marcie mini shoulder bag is a version of the iconic piece designed by the fashion house of Chloé. 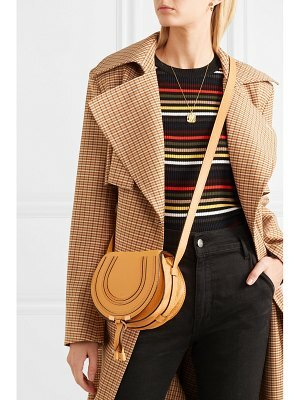 This grained calfskin leather accessory features a front flap with topstitching, two hanging ties, a long, adjustable shoulder strap, and brass details. 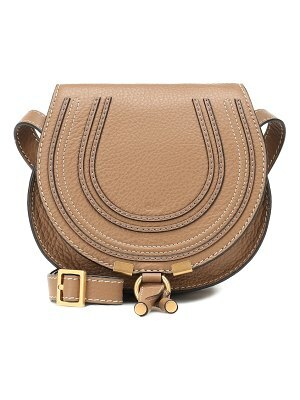 It also has several inside compartments. 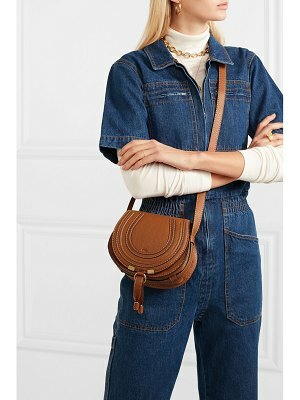 Wear it across your chest or over your shoulder with flared jeans for a true 70s look.